In the run up to the Office 15 release, Microsoft(s msft) execs are talking up a key goal: Making it easy for non-Windows web developers to build add-ons and enhancements to both Office and SharePoint. This is a shift in strategy — Microsoft is trying to make Office — the company’s undisputed cash cow — cloud-worthy while also ensuring that it remains the center of most workers’ computing worlds. The draw for web developers is that they gain access to the 1 billion (that’s with a “b”) Office users Microsoft claims. Those Office users will get access to an array of add ons — surfaced through Office and SharePoint stores that appear on-screen — that can add value. 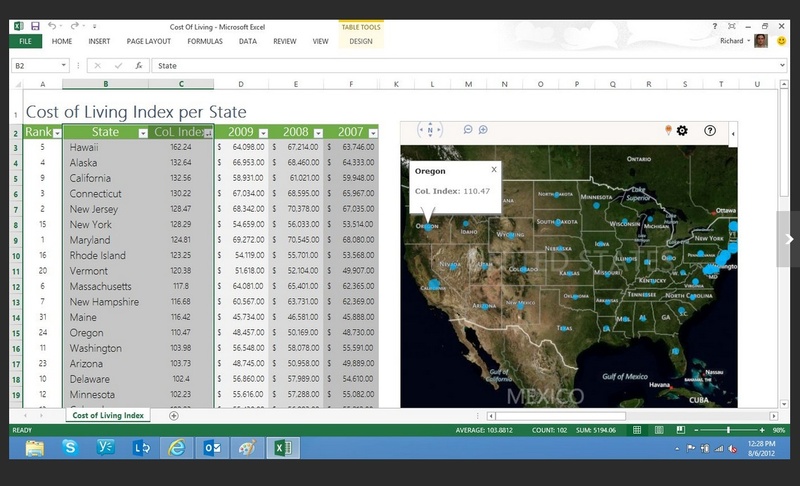 For example, if a user pulls up an Excel spreadsheet listing average income by state, she can also pull up a Bing map in a side panel that illustrates that graphically on a map. Riley said Microsoft will offer a level playing field for people wanting to add Google or other map add-ons as well. Developers can offer their apps for free or charge for them. In the latter case, Microsoft will take a 20 percent cut. Microsoft will validate the applications, which must use OATH to authenticate themselves with SharePoint or Office. Jones said Microsoft will also continue to support Visual Studio for Applications (VBA) and Visual Studio Tools for Office (VSTO), two old-school ways to develop Office add ons. Michael Fitzmaurice, CTO and VP of product technology for Nintex, a Bellevue, WA. developer with deep SharePoint expertise is sold and has already developed add-ons for the new SharePoint. To develop for SharePoint now, you need to know a lot of “secret SharePoint handshakes and SharePoint FOO” but this means SharePoint and Office will now play by web rules. “What they’ve done here is let us deliver the same functionality in the cloud that we could on premise,” he said. Office add-ons to run in Azure, how about Office itself? Of course, Fitzmaurice is already in that Microsoft Windows-SharePoint-Office club. The big question is whether this move will attract web-age developers who are probably more familiar with Google(s goog)Apps than Office. He thinks so. This move makes developing for Office like developing for Facebook (s fb), he said. Others may not be so sure. And, timing is still rusty. The Office 15/SharePoint previews have been available for a few weeks but Microsoft is not talking release dates. It has said that a Windows RT version for Office will ship with the new Microsoft Tablet which is expected this fall. So we kind of know when Office and SharePoint add-ons will run in Windows Azure. When the Office mothership itself will run in Azure remains a mystery. The Windows Azure group has said that, directionally, it’s the plan that all Microsoft applications, presumably including Office, will run there some day. The Office/SharePoint reps I talked to this week would not comment on that. For a company that always prides itself on eating its own dogfood (ick, by the way), that is the question that needs answering.